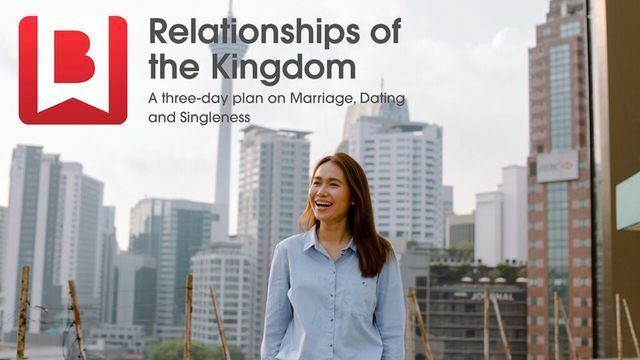 Relationships Of The Kingdom – A Plan On Marriage, Dating And Singleness - Have you ever considered marriage? Have you ever wondered if your relationship is what God wants? Have you ever felt that singleness is just a last resort? Read on to find out what the Bible has to say about these important life stages. God has good plans for you. They are not plans for your failure or defeat. They are plans to ‘prosper you’. They are not average or mediocre plans. They are ‘good, pleasing and perfect’ (Jeremiah 29:11). We can give our anxiety for our future to God and rest in the knowledge that the same one who brought the stars into being knows us intimately and has a plan for each of us. God will not force his plans on you, but he requires your cooperation. If you want his plans to be fulfilled in your life, you need to seek him. He promises that, if you do so, you will find him (Jeremiah 29:13–14b). As you spend time with God, be led by him into the good plans he has (29:14). However, sometimes we also need advice on what to do whilst dating. What should be my priorities whilst dating? Who should I be dating? Paul writes, ‘Therefore, I urge you, brothers and sisters, in view of God's mercy [because of all that Jesus has done for us through the sacrifice of himself on the cross], to offer your bodies as living sacrifices, holy and pleasing to God – this is your spiritual act of worship’ (Romans 12:1, AMP). God wants you to offer all of yourself and all of your life – your time, ambitions, possessions, ears, mouths, relationships, and sexuality – as well as your mind, emotions and attitudes. Paul’s description of a living sacrifice also reminds us that you have to continue offering your life as a sacrifice to God, offering the whole of your life for the whole of your life. As Eugene Peterson translates it in The Message, ‘Take your every day, ordinary life – your sleeping, eating, going-to-work, and walking-around life – and place it before God as an offering’ (Romans 1:1, MSG). And in all things, the writer of Proverbs urges us, 'live wisely'. You have a part to play in responding to God’s call, staying on his paths, living wisely and thereby making something beautiful out of your life. You can choose what you think about. The life you lead will flow from your heart. ‘Above all else, guard your heart, for it is the wellspring of life’ (Proverbs 4:23). You are to fill your heart with good things – especially the words of God (4:20–21). They bring ‘life’ and ‘health’ (4:22). Think about ‘things that are true, noble, right, pure, lovely, admirable, excellent or praiseworthy’ (Philippians 4:8).